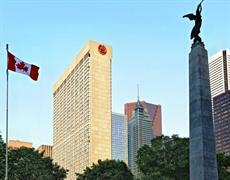 Sheraton Centre Toronto Hotel is offering an easy way to enjoy all the fun of the season while staying safe. The Sheraton Centre Toronto Hotel offers an easy post-party commute so you can trade your car keys for room keys and simply take the elevator home. A special rate is available through the holiday season on Friday and Saturday night stays from Nov. 17 to Dec. 30. “The holidays are a busy time of year with lots of entertaining across Toronto," said Tony Dunn, the hotel's general manager. “Whether in the city visiting friends and family or with colleagues at the office holiday party, Sheraton Centre Toronto Hotel offers a safe and responsible way to enjoy all that the festive season has to offer."